At least this gives me a little more time to locate our local ESPN radio affiliate. 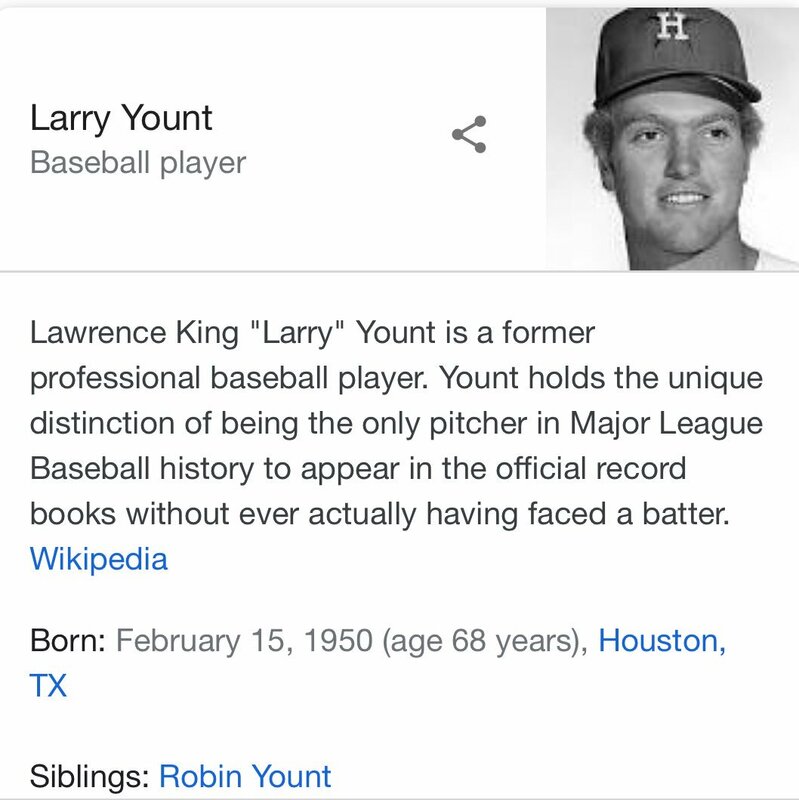 I know you were planning your day around my Play-by-Play of Yankees-Astros on @espnradio (LOL) but I have to go Larry Yount* today due to food poisoning. Since I can’t really talk yet, @RyanRuocco will kindly and ably step in and we’ll at least keep it in the @HackleySchool fam. 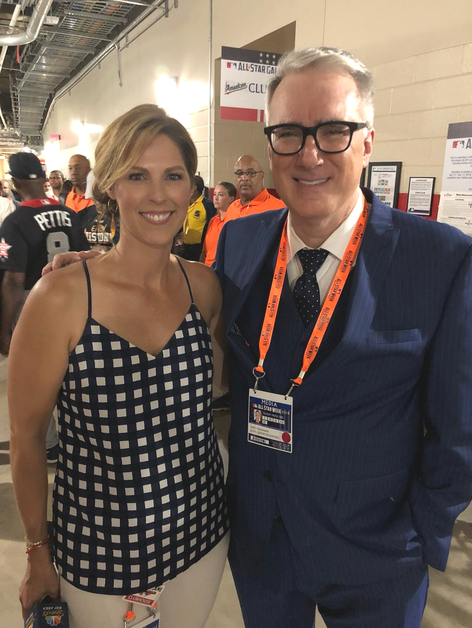 The All-Star Game itself may be the big star during MLB’s All-Star Week, but the T-Mobile Home Run Derby attracts its own bright lights and excitement, and ESPN is treating the event like the star it is. 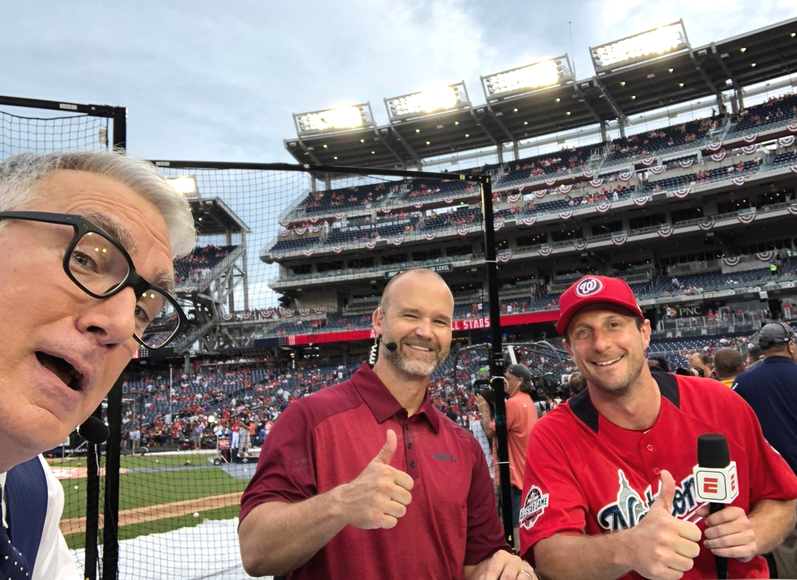 The 2018 exclusive broadcast of the T-Mobile Home Run Derby on ESPN, July 16 from Nationals Park in D.C., will get a plethora of fan-friendly coverage, beginning on-site at 3 PM (ET) that afternoon. “The annual event is one of ESPN’s signature telecasts of the summer, and this year it will include more coverage than ever,” according to ESPN. T-Mobile, an official MLB partner since 2013, became presenting sponsor for the Home Run Derby in with a three-year deal in 2016. Los Angeles Dodgers infielder Max Muncy said on the club’s radio station that he would participate in the Home Run Derby. Washington Nationals outfielder Bryce Harper, who has been voted a starter on the National League roster, is currently the only other confirmed participant in the 2018 Home Run Derby. 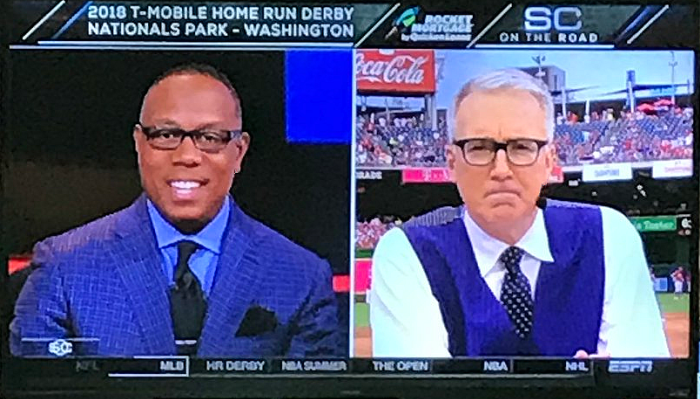 However, official participants and brackets will not be known until a special ESPN telecast, the 2018 T-Mobile Home Run Derby Bracket Show, immediately following Wednesday Night Baseball with Texas Rangers at the Boston Red Sox on July 11 (approximately 10 PM ET). Aaron Judge of the New York Yankees was crowned last year's T-Mobile Home Run Derby champion in Marlins Park in Miami, and the year before Giancarlo Stanton, now with the Yankees but then with the Miami Marlins, won the event. Both have decided to pass on the 2018 competition. ESPN and T-Mobile have been touting the event with a spot featuring the Nationals' Racing Presidents mascots. 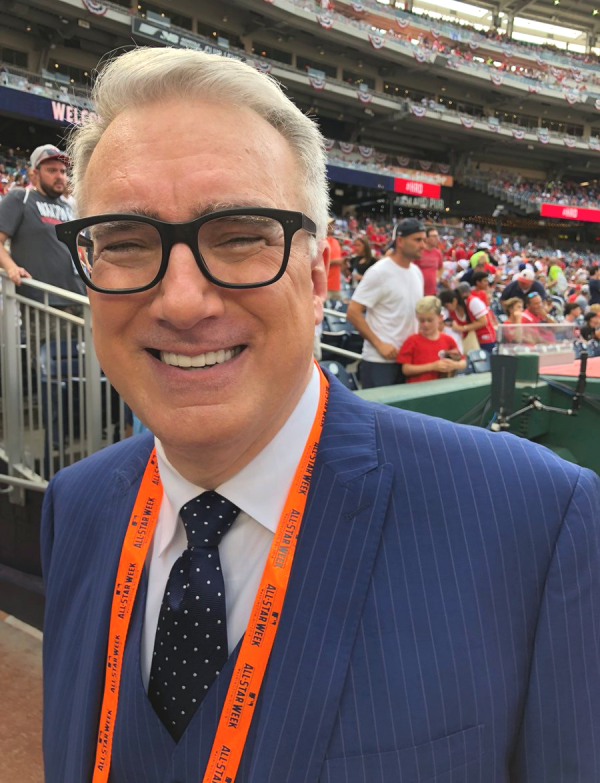 Karl Ravech will return for his second year as lead announcer for the T-Mobile Home Run Derby, joined by analysts Mark Teixeira, Jessica Mendoza and Buster Olney. ESPNEWS will televise a “first-of-its-kind alternative viewing experience” for this event, with on-screen graphics, data and information from Statcast. The ESPNEWS telecast will also feature its own commentator team, including play-by-play voice Jason Benetti and analyst Eduardo Perez, according to ESPN. 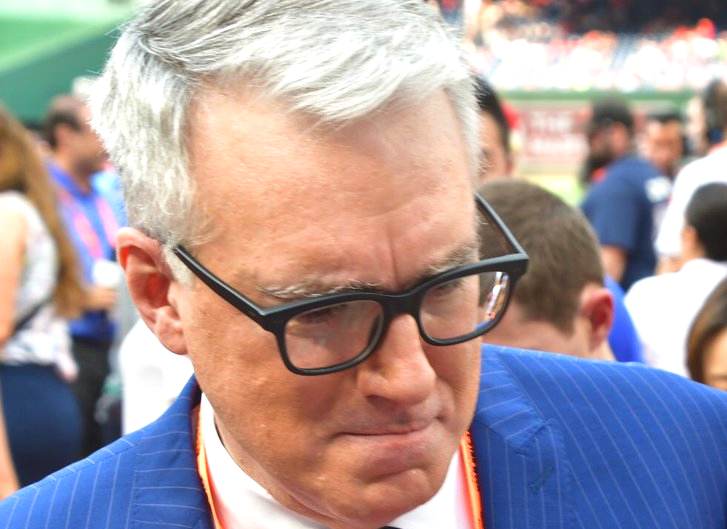 ESPN Radio will have the national radio broadcast as Jon “Boog” Sciambi describeing the action with analysts Chris Singleton, Marc Kestecher and Tim Kurkjian. 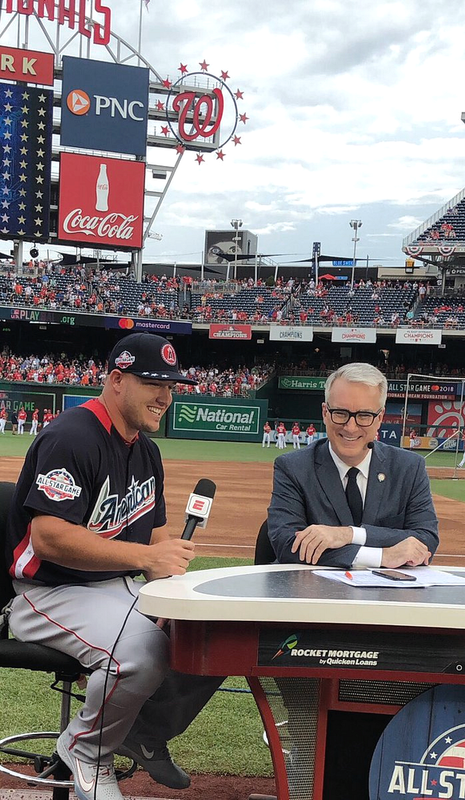 All ESPN and ESPN2 Home Run Derby day telecasts will stream via the ESPN App. Audio from the ESPN Radio broadcast will also be available on the ESPN App. • Baseball Tonight: Home Run Derby – Around the Cage will include live footage of batting practice and on-site interviews with participants. • Pardon The Interruption commentators Michael Wilbon and Tony Kornheiser will talk about the Derby. • MLB Intentional Talk will be on site with hosts Chris Rose and Kevin Millar. 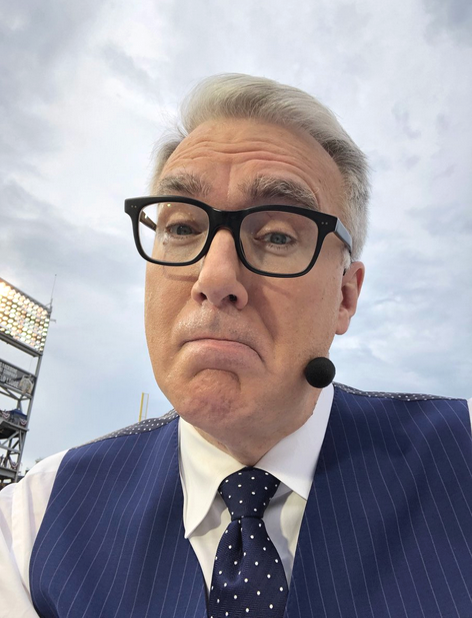 • SportsCenter guest hosts Keith Olbermann and Karl Ravech will preview the T-Mobile Home Run Derby and the 2018 MLB All-Star Game. • The Home Run Derby Preview Show leads into the T-Mobile Home Run Derby telecast. 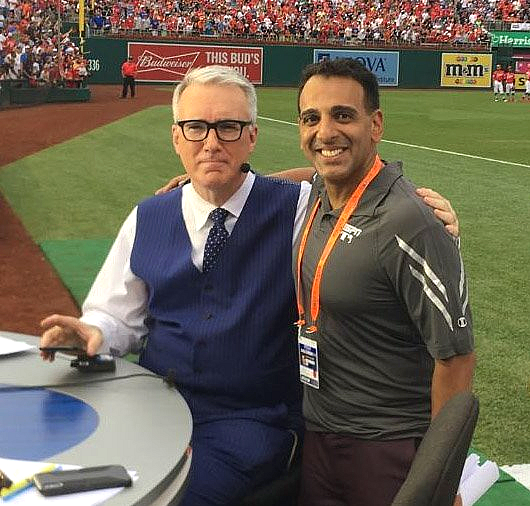 Adnan Virk will join analysts David Ross, Tim Kurkjian and Eduardo Perez for commentary. AS THE PROMO COUNT -- if not the excitement level -- builds for the 89th All-Star Game, do me a favor. Just off the top of your head and without googling, answer this All-Star question for me: Who was the All-Star MVP last year? Too tough for you? 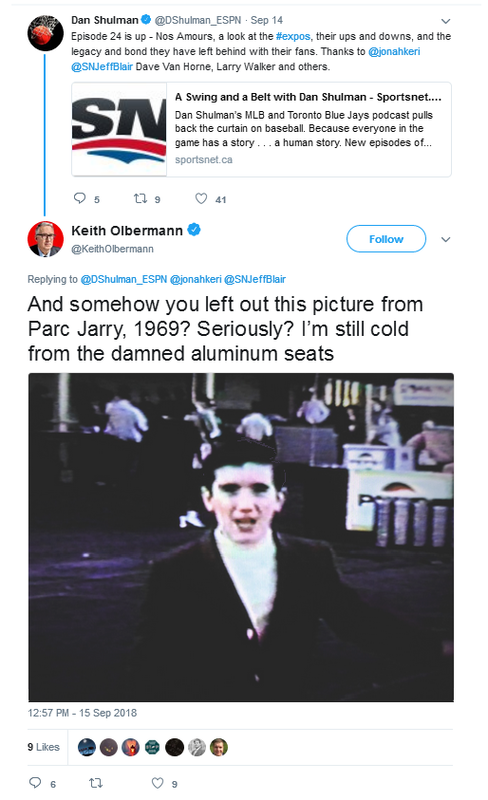 How about this one: Where was the game played last year? How about the MVP in 2016? Or from '15? Or '14? Or an easy one you would think you could answer based just on who the previous year's World Series teams were: Who managed the American League team last summer? 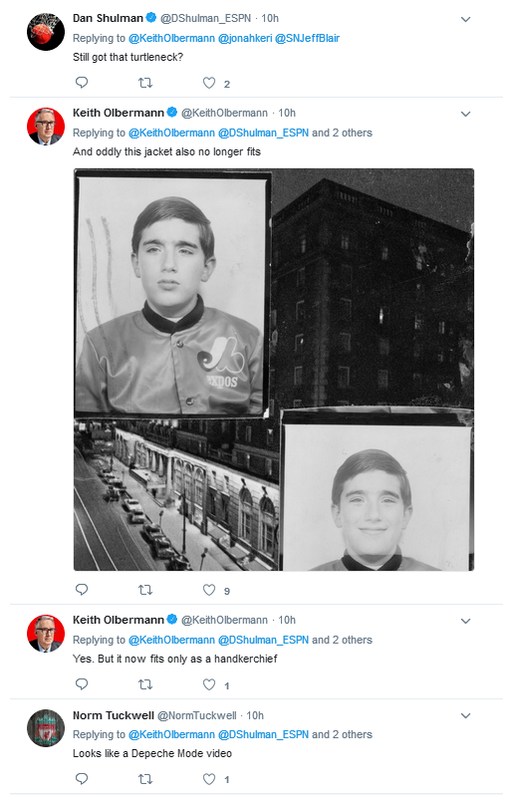 I'm guessing that unless it was your guy from your team, you have no memory of how the 2017 All-Star Game played out. Viscerally repetitive as the Home Run Derbies might be, their storylines tend to stick better. If you don't immediately think of Aaron Judge, just reading the name might flash you back to his exhausting effort last year. You might not remember who beat Josh Hamilton in 2008, but you probably can visualize at least one of Hamilton's blasts bouncing like a tennis ball off the back wall of the bleachers in Old Yankee Stadium. All the All-Star Games in all the sports are suffering from player overexposure, or lack of excitement, or the lack of the kind of player energy level you get even in the preseason. 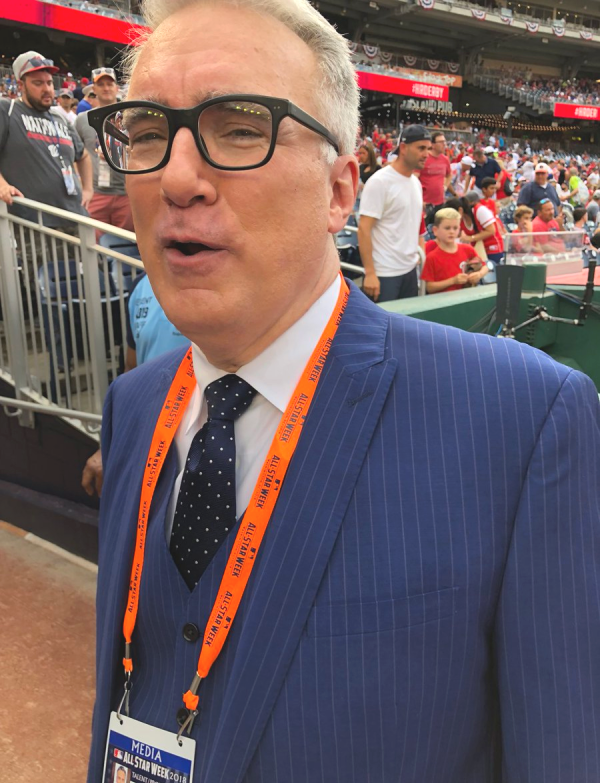 But it's worse for baseball because baseball created the All-Star Game idea (in the primordial days of 1858) and introduced it to the big leagues (in the Addie Joss Benefit of 1911) and made it official in 1933. 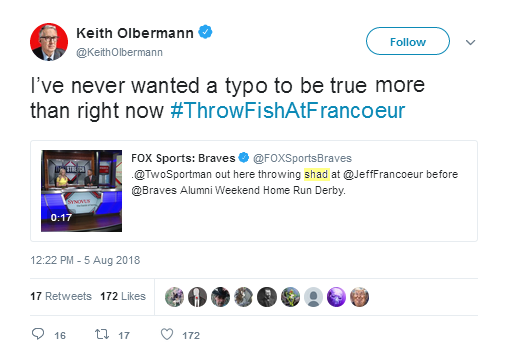 And it's also worse for baseball because its All-Star Game used to really mean something. And as promised, there he was! 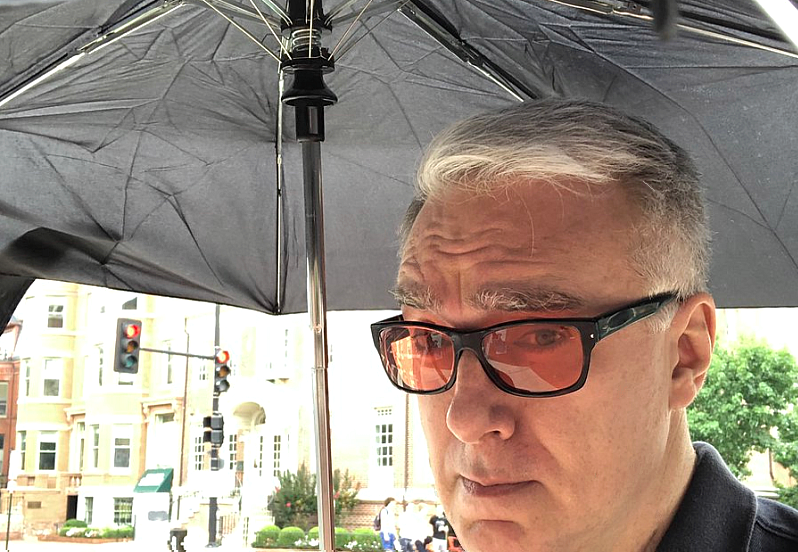 Tweeting from the field: "It’s muggy, but the puddles are not deep -- and I think it’s playable. " 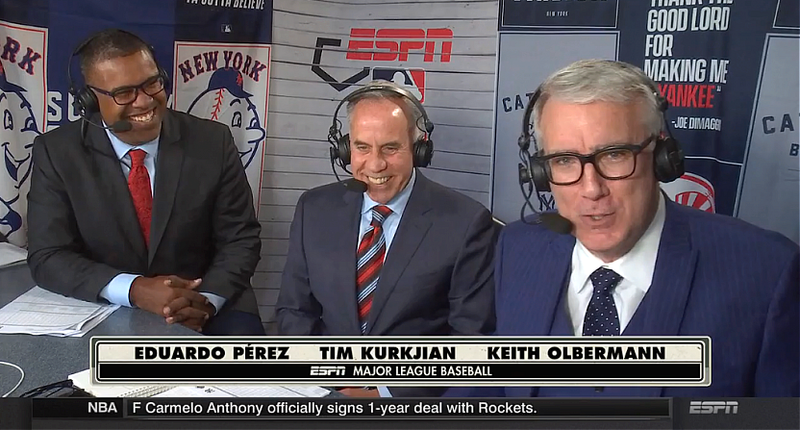 Keith returned as pay-by-play announcer for the Mets/Yankees game on Monday, Aug. 13. According to Neilson, the broadcast delivered a 1.3 metered market rating, making it the highest-rated weeknight regular-season game on ESPN since April 2017 (excluding Opening Night). The most notable brawls in baseball history and how they often started with bad blood. I just came across this book while browsing a collector site. Wiki says Halsey Hall was a Minneapolis baseball announcer whose trademark call for a home run on WCCO radio was "Holy cow!" Book is signed by the authors. 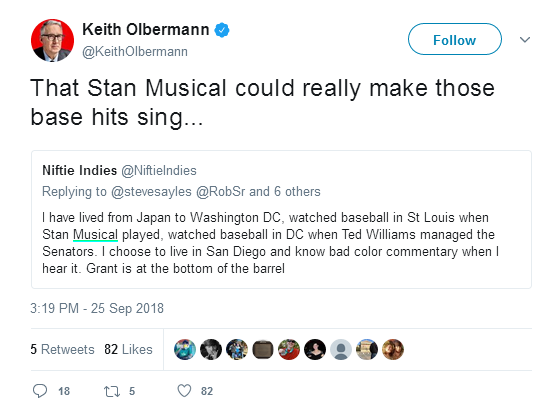 Sounds like something Keith wd like!